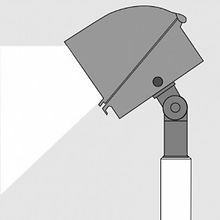 The Jarvis “All Pack” – not just a wall pack – can be used as a wall-mounted area light, pole-mounted area light, flood light, billboard light… The AL Series’ standard style wall pack housing makes mounting simple; its innovative, reversible housing design and compatibility with an adjustable tenon slip fitter create numerous applications. 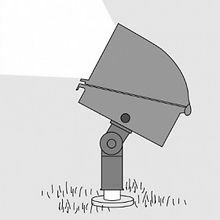 Patented, reversible, two-part design allows for different optic distributions, including a true forward throw that is also a full cutoff dark sky light. Can be used as a wall or pole mounted area light, flood light, billboard/sign light, etc.